(Bloomberg) -- KKR & Co.’s former China heads have raised $2 billion for their debut private equity fund, according to people familiar with the matter. 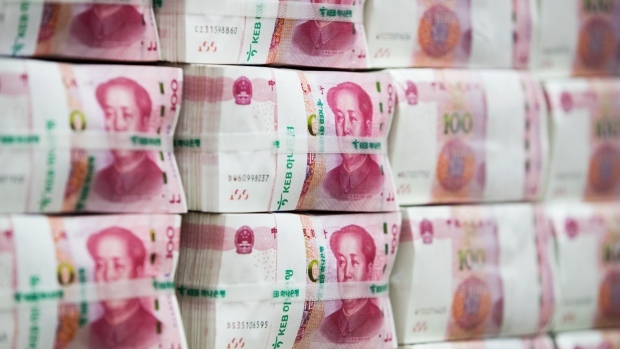 DCP Capital has committed 30 percent of the money for six deals in China, and the firm has also raised $500 million for a fund denominated in yuan that focuses on domestic Chinese investments, the people said. Investors include GIC Pte, Temasek Holdings Pte, New York State Teachers Retirement System Inc., Caisse de Depot et Placement du Quebec and the Abu Dhabi Investment Authority, said the people, who asked not to be identified because the information isn’t public. DCP Capital founders David Liu and Julian Wolhardt secured the funding by touting their track record of almost three decades in China. Liu and Wolhardt are part of the first generation of private equity investors in the country, arriving in the 1990s. They worked together first at Morgan Stanley before moving to KKR in 2006, leaving a decade later to create DCP Capital. The pair gained prominence by buying local meat and milk producers hit by the nation’s food-safety scandals, and have developed a niche focusing on traditional sectors in a market that predominantly invests in new-economy firms. Officials at CDPQ and Temasek declined to comment, while a representative at the Abu Dhabi authority couldn’t immediately provide a comment. New York Teachers and GIC didn’t immediately respond to emails. DCP Capital is targeting a gross return of about 25 percent a year, and began raising the money in December 2017, the people said. That’s higher than the average 14 percent gain for Asia Pacific-focused funds with a five-year investment horizon, according to a Bain & Co. survey published last month. The size of the debut fund surpasses that of rivals including former Goldman Sachs Group Inc. bankers Frank Tang and Fred Hu, according to data from Asian Venture Capital Journal. DCP Capital’s is the biggest first-time, China-focused private equity fund by a non-government entity, the data show.